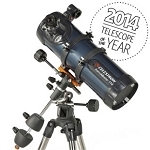 The Celestron AstroMaster 76 Telescope is a special beginner's Newtonian reflector which renders its images right side up and laterally correct, making it appropriate for terrestrial and celestial viewing alike. 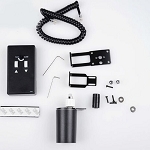 Its 2.9" diameter is considered very good for light collection. When you are looking for faint sky objects such as clusters and nebulae, large aperture becomes relevant. 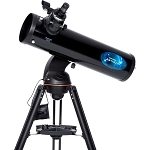 The AstroMaster 76 features coated optics, and is capable of producing clear and bright images of the moon and the planets. 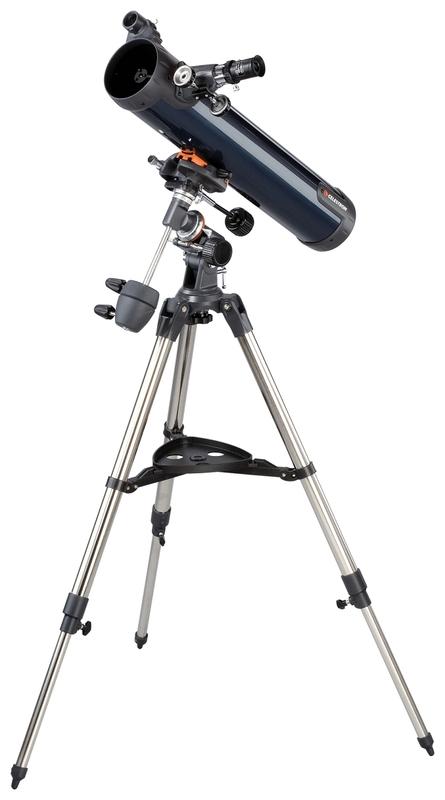 This unit comes with a German-type equatorial mount, a quick dovetail attachment, and a rugged, pre-assembled tripod for your convenience.